For those new to the Chinese market, WeChat might seem confusing. However with many Western social media platforms being inaccessible in China, WeChat takes centre stage. If you’re asking what WeChat is, what you can do on it, how big it is, look no further. We’ve put together a little introductory guide to WeChat for you. WeChat is a mobile text and voice messaging communication service. In just six short years since its release in 2011, it has become one of the largest standalone messaging apps in the world, rivalling Facebook Messenger and WhatsApp. In the first quarter of 2017, WeChat had 938 million monthly active users, a 28% growth year-on-year. And according to China Skinny, “WeChat’s reach and influence is unrivalled in China’s online space”, perhaps because the app allows users to do so much more than just messaging. ‘Moments’ is the popular sharing function on WeChat, similar to Facebook updates. You can upload pictures, post updates and videos. WeChat’s blog, Chatterbox, is a good place for technical tips on using WeChat. Users are also able to manage their lives through WeChat. It starts simply enough with playing games, catching up on current affairs, buying film tickets, ordering food and taxis. Then it steps up a gear with in-store payments and online shopping, paying bills, transferring money, and even booking flights. You name it, WeChat probably does it. The key to WeChat’s success may lie in its ability to attract millennials. In September 2015, 60% of users were 15-29 years old. Perhaps this young and dynamic following are the reason why WeChat offers so many different functions and, as a result, have nurtured WeChat’s capacity to innovate and grow. It’s no wonder that WeChat is a powerhouse. Having taken over China, its next step is to take over the world. Despite their best efforts, Facebook and LinkedIn have never quite been able to catch up with WeChat’s status in the business world. Yes – LinkedIn is specifically used to build professional networks but it hasn’t successfully managed to embed itself into the daily workflow in the same way, and WeChat is becoming an increasingly more common workplace tool. In fact, 87.7% of 20,000+ Chinese web users would place WeChat as their choice app for daily work communication, even beating phones and emails; a staggering number. At China Travel Outbound, we use WeChat to share documents, images and presentations and we abandoned Skype as a method to communicate with China long ago. Now all our team calls with Beijing are made on WeChat. It’s far more stable and the app makes it simple to operate group calls. According to the Financial Times, “at almost every Chinese workplace, WeChat has become the primary means of communication”. For instance, 57% of new contacts that are added every month are work-related, with family and friends being next on the list at just over 20%. This is a huge difference and is evidence of WeChat’s power in the workplace, so much so that according to Xue Yu, a senior market analyst with IDC China, “WeChat is becoming WeWork”. Not only that, but WeChat is also used for a myriad of other workplace functions. Coordinating and arranging tasks is top of the list with 50%; sending notifications, making transactions and arranging tasks are next on the list, whereas having meetings and conference calls and marketing purposes are lower down. Then again, it’s only a matter of time. WeChat’s next challenge? To go beyond being used only for workplace communication purposes and become an essential part of the daily workflow. And, perhaps, that will happen sooner rather than later. The majority of Chinese office workers have been said to find WeChat a helpful working tool, with nearly all of the 90% who are regular WeChat work users finding value in the platform. This is where things get a bit more tricky. You have done your research and recognised the importance of WeChat, and you’ve decided you want to set up a WeChat account for your tourism attraction, tour operation or hotel. So you try to set up a WeChat business account. And there is your problem. You can’t set up a WeChat business account which can be accessed by mainland Chinese unless you have a Chinese business licence. 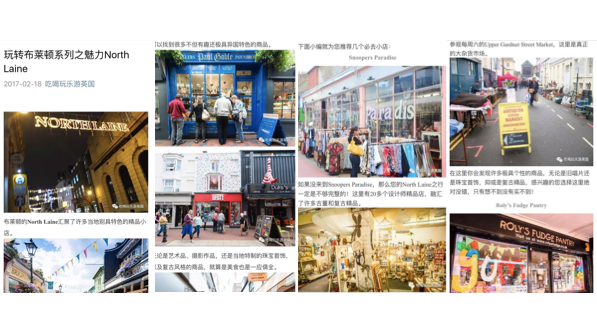 Commit to a one-off spend on WeChat advertising of around €25,000. In return, WeChat’s head office will authorise your account. It is worth noting, however, that there is a limit on the number of WeChat accounts that a Chinese business can own. And once one has been allocated to you, it can not be closed down and allocated to someone else. Also, if the third party agency allows the client to post freely on the account, it is running a risk (albeit potentially a small one) that the client could post something controversial in the eyes of the Chinese government. Social media is tightly monitored in China and the wrong post on WeChat could, potentially, lead to the revocation of the Chinese agency’s business licence. That is why we, at China Travel Outbound, will only consider licensing a WeChat business account to retained clients with whom we have worked for a while, and whom we feel confident are committed to the market. We also insist on editorial control over content, just to keep an eye on things. If a third party agency is managing your WeChat account, we urge you to double check what plans are in place should you (or the agency) decide you no longer wish to continue the arrangement. Use a personal WeChat account instead. This is not recommended for prestigious tourism brands as it does not give the right impression. The management information from it is also very limited, but at least you will be able to communicate with your customers and you will be able to have full control of your own account. Wait. WeChat is moving so quickly that the rules may change as it seeks to replicate its success in China throughout the world. Or hop over to Weibo. One final point. Before you decide you need a WeChat account, do make sure it is the right thing to do. It takes time to build followers on WeChat and you might be better off, particularly in the medium term, to use PR, bloggers, and customer interactions to ‘piggyback’ onto the existing accounts of other influencers. It’s going to be far more beneficial for you if a Chinese celebrity endorses your brand to three hundred thousand followers, than if you post an article to three hundred. If you would like to find out more about WeChat, please get in touch.